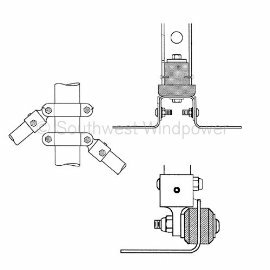 Sternmount Marine Tower Kit for mounting the AIR Breeze Marine Wind Generator to a sailboat. Product Application: For use with Air Marine 9' aluminum pole. The most advanced marine wind turbine mounting system available. This tower has been designed to be simple to install and to reduce the vibrations that any wind turbine produces. The sternmount kit is sold with hardware. 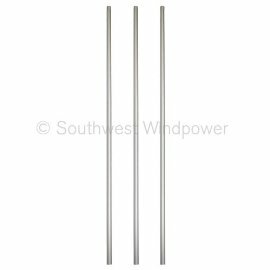 Optional 9' Aluminum Pole set is available separately.